When I gave a brief overview of my chess study plan I said that the cornerstone of the plan is endgame study. Every day where I have a time block allocated to study chess, I use at least some of that time for endgame study. There are many arguments against this approach. These include that it would make more sense to start with opening study, since every game has an opening, while not every game has an endgame. Surely you need to get through the opening and the middle game before your endgame skill is of any use. If you prioritise endgame study at the cost of the opening, then you may be crushed before you can show your skill with triangulation, the Lucena position, or two bishops versus bishop and knight. So why do I choose to study the endgame at the cost of opening study? The reality is that many club chess players, and this means players up to around and Elo rating of 2000 or 2100, often play irregular lines. Weak players do so because they probably don’t know better – that was and mostly continues to be the case for me. Strong players often do so against weaker players, I suspect to negate any basic book knowledge the weaker player may have; to make them uncomfortable early on. In a recent league game where I played White against a player rated 1802 – I was rated 1435 – the opening moves were 1. d4 Nf6 2. Nf3 h6 3. e3 g5 4. Bd3 g4. An online opening database with about 3.2 million games shows 1. …Nf6 is the most popular reply to 1. d4, while 2. …h6 is the twelfth most popular move for games that started 1. d4 Nf6 2. e3 …, having been played only 24 times in around 320,000 games! Apparently 3. c4 was more accurate for me after that, but the point is that, if I was relying on specific openings rather than opening principles and positions, I would have been stumped after move 2. As it turned out, the weaknesses he created on the kingside with those early thrusts cost him, as he provided me with my best win to date! So you may spend hundreds or thousands of hours memorising all sorts of variations of your chosen opening, for your opponent to go out of book by move 2. Then what? “… (you) should start with the endgame instead of the opening. Studying positions of reduced complexity you can gain an early understanding of certain deep principles that would be impossible to feel in complex middlegame positions. Then, once we understand the principle, we can apply it to much more complex positions”. I feel there is also a logical argument in favour of the ‘endgame first’ approach. When you know which endgame positions win, draw and lose, you can aim for desired positions. As a simple example, if you are down two pawns to one and can force a pawn exchange that leads to your opponent having a rook pawn rather than a non-rook pawn, and your king can get to the key squares in time, you can force a draw. 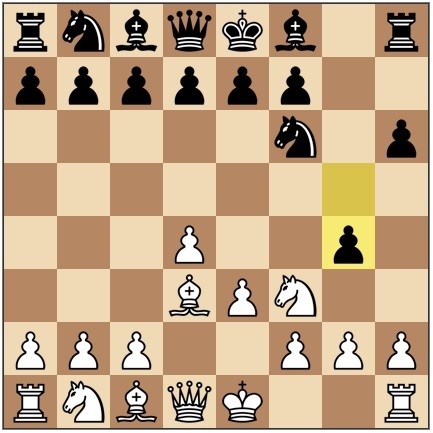 Without endgame knowledge you may not have known to play for this position. There is an argument that the simpler positions in endgames teaches you how to calculate more accurately. There is also the solving argument. Endgame tables prove that chess is solved for around 6 or 7 pieces. Of course it is too much information to use in reality, but the principle is that if you work back from known (solved) positions, then you know what you are aiming for. If you had to solve tic-tac-toe, you would start with one tic to be made to win (the endgame), then work back from there to determine which tics in different positions get you to that known (solved) position. Finally, although endgame study is my priority, that does not mean that I entirely neglect other aspects of the game. I do study the opening, but within very tight constraints and with the aim of getting to familiar positions in the middle game, rather than to eke out a 0.1 pawn advantage with some obscure variation. I also study tactics (this is my second priority after the endgame) and strategy (more passively and to a limited amount). More on these other aspects of the game later. Those are some of the reasons I believe endgame study should take priority. Now to what I do with my endgame study time. Virtually all of it is studying with a book and playing the positions out over a real chessboard until I understand the concept. My books of choice are Silman’s Complete Endgame Course: From Beginner to Master , three books by John Nunn – Understanding Chess Endgames (read my review here), Nunn’s Chess Endings Volume 1 and Nunn’s Chess Endings Volume 2 – and Mark Dvoretsky’s Endgame Manual . Silman’s book is divided by playing strength. I have worked through the sections up to 1799 USCF. The reasons I stopped there are that it was one section above the grading group I am currently in, and I thought Nunn’s Understanding Chess Endings would be a good bridge between Silman’s more elementary work and more advanced studies. I am about 10 (of 100) topics into Nunn’s Understanding Chess Endgames. When I complete that, I plan to return to the later chapters of Silman’s course, before tackling Nunn’s two more advanced books. I plan to round off this initial endgame study phase with Dvoretsky’s Endgame Manual. These books are likely to keep me occupied for somewhere between eighteen months and two years. There are other books which I plan to study after that, but that is for later. In addition to the book study, I do the two endgame positions Chess Tempo allows me to do for free every day. In the next post I’ll talk about the second priority in my chess study plan, tactics. Hi these are good books, i am not fan of silman but dvoretsky and nunn are clear favorites of mine. But looking to manuals is not the things worked for me. They are better than nothing for reading, and learned great deal from books describing the technique. But for real learning you should also solve, analyze, calculate, think (participate) The things i can offer for more smooth learning the endgame is calculate position before trying to learn it (some books like secrets of pawn endings have puzzles after each chapter, or Nunn’s endgame challenge have 250 good endgame questions deep, hard but solvable). Also playing games (reaches endgame phase) helps and shows lots of things you think you have learned but you didnt. In my experience i even learned great deal about endgame in my blitz games (both me and my opponents in last seconds, i desperately use 5 seconds of my last 10 to make a plan and play it fast as possible) sometimes in pressure i played great endgames i couldnt find in my leisure and playing fast games have drawbacks for sure but some pluses as well. Hi Kaan. Thank you for your comments and advice, and good luck with your own journey too. I like your choices of books. I would probably add a couple: “Practical Chess Endings” by Keres, “100 Endgames You Must Know” by de la Villa, and “Basic Chess Endings” by Fine. I love Silman’s course. One thing I am surprised you didn’t mention is that studying endgames teaches piece coordination. I’ve been asked how I was able to beat a 2100-level chess player (Pittsburgh Chess Club Champion, Daniel Gordon [see my USCF statistics]) with three pieces against a queen as only a 1600-level player. I think it has to do with my ability to coordinate pieces, which I developed from my endgames study. That’s why the Russians said the Russian Chess School began with endings, anyways. Nice program. Keep up the good work. Piece coordination is indeed there. In fact, GM Davies has recently started an endgame series on his Tiger Chess site, posting a couple of endgame videos every week, and that was one of the reasons he also recommends prioritising the endgame. Yes the endgame is so important , look to carslsen games , he beat al the strongest players in the endgame , he is so good in the endgame , he plays the endgame fantastic. Kasparov maybe the best opening player ever , kasparov is no great endgame player. kramnik in world champion match he did beat kasparov , in the endgame , he outplayed kasparov in the endgame.